The mission of The Foundation is to provide scholarships, grants and assistance to students of institution of higher education who lack sufficient resources to enroll in and complete post-secondary education. Bucky Dent is the first City of Hialeah park to offer an open free WI-FI service in its new computer lab. 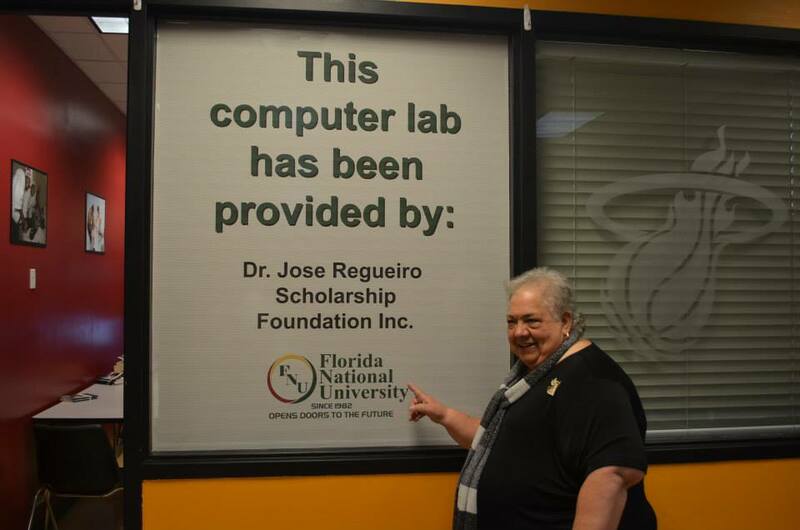 This was all made possible thanks to the Dr. Jose Regueiro Scholarship Foundation. Ribbon cutting celebration for the lab in Bucky Dent donated by the Dr. Jose Regueiro Foundation INC.
A child that will be benefiting from the computer and Wi-Fi donated by the Dr. Jose Regueiro Foundation INC.
Dr. Jose Regueiro Foundation Inc donated a computer lab with Wi-Fi for the children in Hialeah and its surrounding areas, who do not have computer or internet access at home to do their homework.